Districts, towns and cities: Cam Ranh City; Ninh Hoa town; Districts: Van Ninh, Dien Khanh, Khanh Vinh, Khanh Son, Truong Sa, Cam Lam. In 2016, with the right orientation and the drastic direction of the Government, taking the opportunities of integration, our economy has achieved positive results: GDP growth reached 6.21%. Although not reaching the target, it is also high in the region in severe natural disasters in agriculture in the Mekong Delta; foreign exchange reserves reached 41 billion USD highest ever. Foreign direct investment FDI reached a record, especially disbursed capital reached 15.8 billion USD, the highest ever; 110,000 new businesses were established. Khanh Hoa is a province in the South Central Coast region, which has many large seas and islands with more than 200 large and small islands? Khanh Hoa has a plentiful labor force with an average population of 1,212,877 (in 2016). It is one of 10 provinces in the whole country that has a large number of intellectuals. There are 40 scientific and technological research units in the province, more than 20,500 cadres who graduated in colleges and universities and more than 200 cadres with postgraduate qualifications. The percentage of trained workers is over 25%. 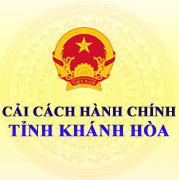 *The South is Cam Ranh Bay that has a very important position in national defense - security and economic development. In which Cam Ranh International Airport develops in tourism; Cam Ranh International Port and Cam Ranh Peninsula North Resort. Ba Ngoi port is being expanded with Cam Ranh international port project (phase 1). In the short term, Cam Ranh International Port focuses on three areas: Providing maritime services for military ships, tourist ships; Repair berths and provide travel services for crews, visitors. In September 2016, the port welcomed the first international cruise ship to visit Khanh Hoa. After completion, Cam Ranh International Port will be one of Vietnam\\\'s largest ports, with a maximum tonnage of 110,000 DWT, which can accommodate 18 ships at the same time and 185 ships each year, is the first port in Vietnam designed to allow mooring in storm conditions up to level 8. On May 20th, 2003, the Prime Minister issued Decision No. 101/2003 QD-TTG approved the project of general planning and Cam Ranh Bay Development for the period up to 2010, in which the orientation of development of North Cam Ranh Peninsula is a high-quality tourist resort, airfreight services and national and international business and conference center. At there, there will be diversified tourist areas, airport areas, residential area and other special spaces. On January 16th 2004, Khanh Hoa People\\\'s Committee issued Decision No.177/QD-UB approving the general plan of Cam Ranh resort, Cam Ranh town, Khanh Hoa province. According to the plan, the resort has a total area of 4,800 ha, of which the first phase, developing Northern Cam Ranh peninsula tourist area with the area of 2,150 ha. This is a sea resort, high-quality resort, cultural service center, trade, conference, regional, national and international tourism. The total scale of hotel rooms is from 5,000 to 10,000 rooms, of which 80-85% of rooms are occupied in concentrated tourist areas and about 15-20% is combined in residential areas combining with ecotourism services. At present, Northern Cam Ranh peninsula tourist area has 40 projects under construction. Of which, four projects have been put into operation or operated in the first phase, including: Bien Dong resort, Riviera Residences and Resort, Fusion Maia Nha Trang resort, Dinh Vang Cam Ranh tourist area . * In the middle is Nha Trang Bay, recognized as one of the most beautiful bays in the world. With favorable conditions in terms of location, landscape, climate, along with its historical and humanistic background, Nha Trang - Khanh Hoa is able to develop various tourism forms. Especially, this area also has Nha Trang Port. The port has 4 berths, the longest is 215m; it can receive composite ships of up to 20,000DWT and passenger ships of up to 60,780GT. Port has water depth of moored from - 8.5 to -11.8 m; Total warehouse area of the port is 80.000m2. According to the detailed plan of South Central Seaports to 2020 and orientation to 2030, Nha Trang Port will be planned and rearranged international passenger terminals, domestic passengers, marinas and specialized wharves. From 2016, Khanh Hoa province will build a project to develop into a modern international port, terminating the carriage of goods through Nha Trang Port; Strive to take Nha Trang Port to welcome at least 150,000 international tourists by sea and 1 million domestic tourists to visit the sea and islands. The next year strive to achieve a minimum growth of 20% per year. 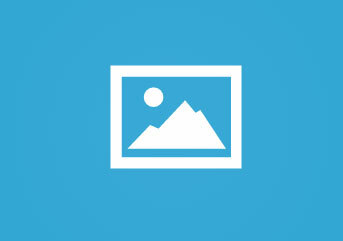 The North is Van Phong Economic Zone established under the Prime Minister\\\'s Decision No. 92/2006/QD-TTg dated April 25th 2006 with the total area of 150,000 ha (70,000 ha of land and 80,000 ha of water surface), located in Van Ninh district and Ninh Hoa town, Khanh Hoa province, in the South Central Coast of Vietnam. On March 17th 2014, the Prime Minister issued Decision No. 380/QD-TTg approving the general planning on construction of Van Phong Economic Zone, Khanh Hoa province to 2030 with the following characteristics: to be Multidisciplinary and multi-sector economy. In which international container entrepot port, petrochemical refining industry, petroleum transit and petroleum product will play important role, combining tourism, service, industry, aquaculture development and other economic sectors; Being the economic center of Khanh Hoa province, which plays a leading role in attracting investment and as a driving force for economic development in neighboring areas and the whole country; Van Phong Economic Zone is concentrated in two areas: Nam Van Phong (in Ninh Hoa town) and Northern Van Phong (in Van Ninh district). The advantage of Van Phong Economic Zone is 1A national highway, the North-South railway running along the economic zone; Geographic location is the gateway to the East Sea for the Central Highlands to develop the East-West Economic Corridor. Van Phong Bay has an average depth of 20 - 27m, windy, near the international maritime route and has favorable conditions for the construction of international entrepot port and marine economic development. Beautiful landscapes, diverse ecosystems, mild favorable climate for tourism development. As of December 2016, Van Phong Economic Zone has attracted 143 projects with total registered capital of 1.5 billion USD, implemented capital is 630 million USD, reaching 42% of registered capital (with 27 FDI projects, registered capital is 533 million USD). A number of large-scale industrial projects are operating effectively in the Southern Van Phong area: Hyundai Vinashin Shipyard Co., Ltd, Van Phong Petroleum Bonded warehouse. Khanh Hoa is located on the Northern–Southern transportation axis, which is convenient both for roads, railways, waterways and airways. It is the gateway to the Central Highlands and is the province which has the most international maritime lines in Vietnam. Khanh Hoa\\\'s transportation development orientation is to take advantages of the three ports Van Phong, Nha Trang and Cam Ranh on the South-Northeastern International Maritime Route, with the trend of sea transport by container to invest in building seaports, exploiting maritime services and developing the shipbuilding industry. At the same time, investing in the development of the rural traffic system to well handle the cargo rotation of coastal areas. So far, 44/45 communes and wards had streets to the center of the communes which basically overcome the flooding situation in the rainy season, serving the people well and security and national defense. In recent years, Khanh Hoa has mobilized many domestic and foreign investment capitals with preferential policies to invest in infrastructure development. The total investment capital for social development has increased over the years and reached over 110.5 trillion VND in the five years 2011-2015, increased 2.3 times than in the period of 2005-2010. The rate of mobilization investment capital for social development on GDP averaged 42.69%. State budget has focused on four socio-economic development programs, implementing key projects to create driving force for development in the coming time. To mobilize investment capital in the form of BT and use ODA capital to deploy infrastructure projects with pervasive effect and regional linkage in order to accelerate the urbanization of the province. Investment results in recent years have significantly improved social and economic infrastructure, fundamentally changing the socio-economic status of the urban, rural and mountainous areas of the province, to create conditions for economic sectors develop business production and improve people\\\'s life. Hundreds of infrastructure construction works in the areas of transportation, industry, electricity, water, agriculture, irrigation, services, tourism, culture, information, education, health and sports, urban embellishment ...are completed and put into use. Power supply network, water supply, transportation, communications, banking, finance, health, public services strongly develop to basically meet investment demand. Many main infrastructure projects, caliber and large-scale investments were completed and put into use; create powerful motive power to boost economic - social development. Currently, the road from Khanh Hoa to Lam Dong Province with a length of 70 kilometers was basically completed. This is an important arterial route to economic development between Khanh Hoa and provinces of Central Highlands. Especially, when the Ca Pass tunnel is completed the last stage (expected July 2017), will open economic development opportunities for the Northern area of Khanh Hoa, convenient connections with Van Phong economic zone. With its geographical location, favorable natural conditions, transportation systems facilitate service development, rich resources, abundant human resources; Khanh Hoa has preferential policies to attract investment in industrial production, especially in high-tech industries, orient export production replacing imports, industrial processing of agricultural, forestry, Sea food; financial, banking, postal, telecommunications, advanced services ... Khanh Hoa will a safe place for investment and development. 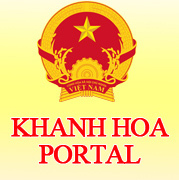 During last years, Khanh Hoa had higher economic growth and budget revenues in the region and the whole country. Khanh Hoa is not only known as a local that has great potential for tourism and economic sectors but also a local sea which has growth in industry. In particular, the industry and construction have reasonable growth rate, holding key position, contributing to stability and economic development of the province. Some key products have sizable contributions to the value of industrial production in the province, such as: food processing, beverages, tobacco, textiles, shipbuilding. A number of investment projects in the industrial sector have been put into operation, such as: High Quality Salanganes Nest Soft Drink Factory, factory of preliminary treament and split tobaco stem, Song Giang 2 hydropower plant. At the pressent, the province is preparing the procedure to implement the construction of a number of large-scale projects such as the Sumitomo Group\\\'s coal-fired thermo-power plant, Saigon Brewery, and some shipbuilding industries. Small scale industry and traditional crafts are encouraged, facilitated and developed smoothly, contributing to solving many social problems. The service-tourism sector continues to grow, with the annual target for tourism increasese from 15 to 25%. The total number of visitors to Khanh Hoa province in the period 2010-2015 is nearly 15 million people. In which international guests are more than 3.5 million people, tourism revenue reached more than 20 trillion Dong. Particularly in 2016, tourism turnover reached 12,998 billion Dong, the total number of visitors reached more than 4.5 million people, of which more than 1.1 million international visitors. The total number of accomodations in the province is 638 with 23,693 rooms. Tourism business establishments continue to develop in the trend of investment in depth, large scale. The tourism models and products are increasingly diversified, improve quality. Many leading commercial centers of retailers in the country and abroad such as Metro Cash & Carry, Co-op Mart, Big C, Maximark, Lotte ... come into operation in the province, meeting better and better shopping demand of the people and visitors. The export market is expanded to 105 countries, an increase of 20 countries compared to 2010. Export turnover of goods in the province in 2016 was estimated at 1,210 million USD; Import turnover reached 720 million USD. 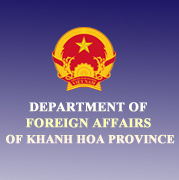 Last time, Khanh Hoa province has many policies to attract foreign investment into the province. Up to now, there are 95 FDI projects licensed or issued investment certificates (of which 48 projects belong to the Management Board of Van Phong Economic Zone). Total accumulated capital from the beginning of the project up to now reached about 633.2 million USD. At present, the province has 4 industrial zones and 10 industrial clusters. 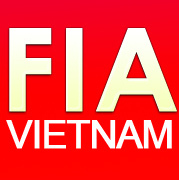 Of which, an industrial zone has been operating effectively (Suoi Dau), two industrial zones are undergoing investment procedures (Nam Cam Ranh, Ninh Thuy), one industrial zone is temporary stop to call for new investment because it is within the research area of ​​the Northern Van Phong special Economic Zone; Three industrial clusters have been put into operation (Dac Loc, Dien Phu, Khatoco Industry and Animal Husbandry), two industrial clusters are carrying out investment procedures (Song Cau, Trang E), five industrial clusters are calling for the investment (Ninh Xuan, Tan Lap, Dien Tho, Doc Da Trang, Cam Ranh). Khanh Hoa Province is continuing to invest in infrastructure in industrial zones and industrial clusters to call businesses to invest in these areas, and at the same time to step up the training of human resources and investment incentive policy for each area. Khanh Hoa always expects and widens its doors to welcome domestic and foreign investors with preferential policies and favorable conditions for investors. Khanh Hoa People\\\'s Committee will accompany with the investors and businesses to solve difficulties, obstacles and create best conditions for enterprises and investors to succeed in Khanh Hoa./.